The number one cause of death for newborns to age three are car accidents according to Saferides4kids.com. Large puffy coats can cause a false sense of safety when trying to buckle a child in. It is best to put a coat on top of the straps or use a blanket so there is no extra space between the straps and their body. Children are 3.5 times more likely to be seriously injured by an improperly strapped car seat than those who are properly secured. Children ages 4 years old to 7 years old, who have out grown car seats still need to have some form of safety. When your child is too big for a car seat it is important to still have certain safety options since children may not be the correct height or weight to benefit from a properly working seatbelt. Saferides4kids recommends using a travel vest, which is lightweight and is able to fit in your child’s backpack, or a boast seat, which is a platform that increases the height of your child to meet the height requirements of a seatbelt. This way when you buckle your child, they are at the correct hight to stay protected. Between the age of 8 -12 children grow at different rates, it is up to the parent to decide the proper safety while in a car. It is recommended for a parent to wait for their children to reach the height of 4 feet 9 inches before letting them just use the seatbelt by itself. Teens and adults also have certain safety precautions since they normally will not have the added security as younger children do. Teens and Adults must also be aware of certain safety concerns if they are only using a seatbelt. When only relying on a buckle, it is still important to follow similar guidelines that younger passengers follow. According to the CDC’s Injury Prevention and Control Center motor vehicle crashes are a leading cause of death among those aged 1-54 in the U.S. There are millions of adults that do not wear a seat belt on every trip. These types of actions have led to an estimated $50 billion in medical and work loss costs in 2012, as a result of non-fatal injuries. The CDC estimates that using a seat belt decreases the amount of car crashes that end in injury or death by half. Winter coats are a necessity with winter weather closing in all across the country. While it is important to take your child’s coat off while in a car seat to prevent injury this is also the case for all other ages as well. 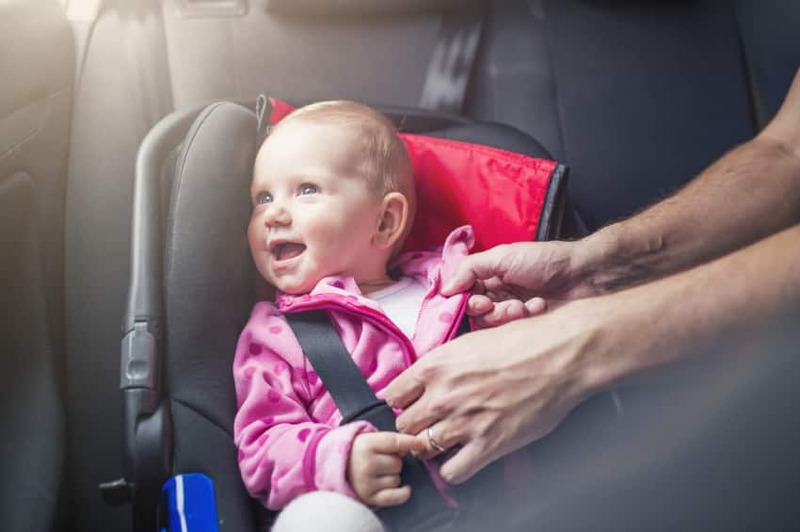 Similar to the problems babies and newborns face with puffy coats causing less effective safety, adult’s coats can also impede on a seatbelt effectiveness when in a car accident. Seatbelts are made to be as close to the passenger’s body as possible, winter coats can increase the separation which can increase the chance of injury. It is recommended that everyone riding in a car should do so without a coat on under the seatbelt. During the colder months you should place your jacket on top of your seatbelt or use a blanket.